My son has been an enthusiastic gamer now for just over 12 months. He plays some of my old (age suitable) games, but he’s also been acquiring a few of his own, notably some of the new figurine-style /sandbox games, in particular Disney Infinity and Lego Dimensions. I see him playing them all, but I wondered which of two he preferred. Here’s his thoughts, as a sub-10-year old, on the state of play in these two games. How long have you been playing both of these games? I’ve been playing Disney Infinity 2.0 for a year, Disney Infinity 3.0 for one month, and Lego Dimensions for two months. Do you enjoy the ‘figurine’ videogames more than other video games? Yes, because they make it easier to change characters, and that makes the games more fun. I also like looking at my collection of figurines, and playing with them outside the videogame, and having pretend battles. In your pretend battles, do you mix them all up against each other, or do you make them stick to their own sides (such Disney Infinity vs Lego Dimensions)? Sometimes I mix them up, sometimes I keep them to their own sides. I like making up my own rules. What do you like about Disney Infinity? I like the variety of vehicles, and the in-game help when you talk to characters. Is there anything you don’t like about Disney Infinity? Some missions are really tough, and it limits the number of attempts you can make. But I guess games can’t be too easy, otherwise they’d be boring. What do you like about Lego Dimensions? I like the on-screen effect of when you go through a portal, and when I get to build things with lego blocks in the game. Is there anything you don’t like about Lego Dimensions? Having to buy vehicles. In Disney Infinity you earn them through playing the game, and completing missions. It’s quite different in Lego Dimensions. 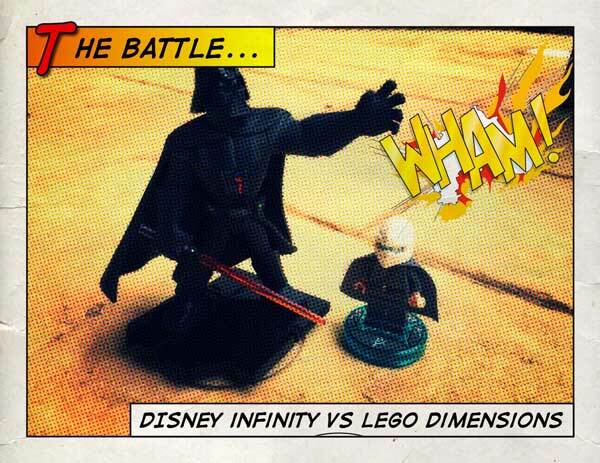 Which of the two games, Disney Infinity and Lego Dimensions, do you most enjoy playing, and why? I prefer Disney Infinity because it has more possibilities. I also probably prefer the characters you can play in Disney Infinity. I really like the Star Wars characters in Infinity 3.0, because the gameplay is fun, I like their abilities, plus I’ve just really started watching all the Star Wars films, and I like doing things in the game that I’ve seen in the films. Which version of Disney Infinity do you prefer playing, 2.0 or 3.0? I prefer 3.0. In Disney Infinity 2.0 you could use characters’ special abilities three times, but in 3.0 it’s five times. Plus I like that there’s more vehicles, weapons, and tools in 3.0. 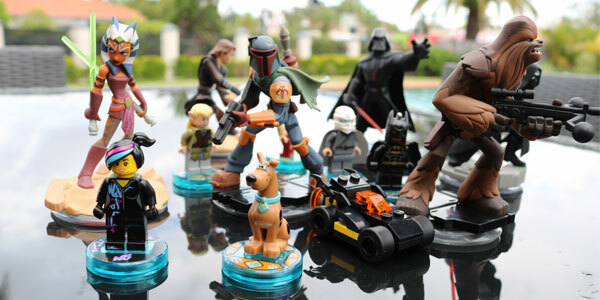 Toy Box and Play Sets in Disney Infinity – which gameplay do you prefer? I liked the Play Box in Disney Infinity 2.0, because it let you build your own things, but in 3.0 it restricts you. Overall the Play Box was good to learn, but I prefer the Play Sets, and their missions. You received all of these games as birthday or Christmas presents. If you were buying one now, with your own money, which one would you buy? I already told you, Dad. Oh, but can I get Lego Marvel Avengers? Previous ArticlePlayStation 4… get a load of Sith!